A hurriedly-compiled list of some of Justice Scalia‘s (“AS”) most cogent and bombastic (read benchslap-tastic) points is recounted below. Justice Stevens (“JPL”) wrote a dissent vainly attempting to combat AS on AS’s home court of originalist historical context, and Justice Breyer (“SGB”) authored a dissent devoted to supporting the D.C. (the “District”) gun ban itself. Notably, AS reserves his harshest criticism for JPL (calling him “dead wrong” at one point). See Dist. of Colum. v. Heller, No. 07-290, slip op. at 5-6 n.5 (June 26, 2008). [A] court has no license to make [a clause] do what it was not designed to do. Or to put the point differently, operative provisions should be given effect as operative provisions, and prologues as prologues. Id. at 4 n.3. Such a construction, AS explains, would illogically “cause the prologue to be used to produce ambiguity rather than just to resolve it.” Id. at 5 n.4. AS next turns to the individual nature of the right, reminding the dissenting Justices that the other two times the phrase, “right of the people” is used in the Bill of Rights (I & IV Ams. ), it is uncontested that such language confers an individual right. Some have made the argument, bordering on the frivolous, that only those arms in existence in the 18th century are protected by the Second Amendment. We do not interpret constitutional rights that way. 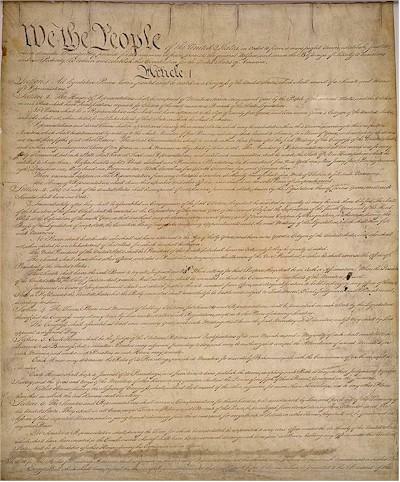 Just as the First Amendment protects modern forms of communications … and the Fourth Amendment applies to modern forms of search, … the Second Amendment extends, prima facie, to all instruments that constitute bearable arms, even those that were not in existence at the time of the founding. Id. at 8 (emphasis added) (citations omitted). In any event, the meaning of “bear arms” that [the District] and [JPL] propose is not even the (sometimes) idiomatic meaning. Rather, they manufacture a hybrid definition, whereby “bear arms” connotes the actual carrying of arms (and therefore is not really an idiom) but only in the service of an organized militia. No dictionary has ever adopted that definition, and we have been apprised of no source that indicates that it carried that meaning at the time of the founding. But it is easy to see why petitioners and the dissent are driven to the hybrid definition. Giving “bear Arms” its idiomatic meaning would cause the protected right to consist of the right to be a soldier or to wage war—an absurdity that no commentator has ever endorsed …. Worse still, the phrase “keep and bear Arms” would be incoherent. The word “Arms” would have two different meanings at once:“weapons” (as the object of “keep”) and (as the object of “bear”) one-half of an idiom. It would be rather like saying “He filled and kicked the bucket” to mean “He filled the bucket and died.” Grotesque. Id. at 13 (emphasis added) (citations omitted). A purposive qualifying phrase that contradicts the word or phrase it modifies is unknown this side of the looking glass (except, apparently, in some courses on Linguistics). Id. at 15 (emphasis added). [JPL] believes that the unitary meaning of “keep and bear Arms” is established by the [II Am. ]’s calling it a “right” (singular) rather than “rights” (plural) …. There is nothing to this. Id. at 18 n.14 (emphasis added). Before proceeding, however, we take issue with [JPL]’ equating of these sources with postenactment legislative history, a comparison that betrays a fundamental misunderstanding of a court’s interpretive task …. “Legislative history,” of course, refers to the pre-enactment statements of those who drafted or voted for a law; it is considered persuasive by some, not because they reflect the general understanding of the disputed terms, but because the legislators who heard or read those statements presumably voted with that understanding …. “Postenactment legislative history,” … a deprecatory contradiction in terms, refers to statements of those who drafted or voted for the law that are made after its enactment and hence could have had no effect on the congressional vote. Id. at 32 (emphasis added). In one fell swoop, AS calls out the jurisprudentially liberal wing of the Court’s central tenet of juristic philosophy. Masterful. Had the Court believed that the Second Amendment protects only those serving in the militia, it would have been odd to examine the character of the weapon rather than simply note that the two crooks were not militiamen …. It is particularly wrongheaded to read Miller for more than what it said, because the case did not even purport to be a thorough examination of the Second Amendment. Id. at 50 (emphasis added). As for the “hundreds of judges,” … who have relied on the view of the Second Amendment [JPL] claims we endorsed in Miller: If so, they overread Miller. And their erroneous reliance upon an uncontested and virtually unreasoned case cannot nullify the reliance of millions of Americans (as our historical analysis has shown) upon the true meaning of the right to keep and bear arms. Id. at 52, n.24 (emphasis added). Game … set … match. [S]ince this case represents this Court’s first in-depth examination of the Second Amendment, one should not expect it to clarify the entire field, any more than … our first in-depth Free Exercise Clause case, left that area in a state of utter certainty. Id. at 63 (citations omitted). [I]s perhaps debatable, … what is not debatable is that it is not the role of this Court to pronounce the Second Amendment extinct. Id. at 64 (emphasis added). Also of note, AS cites not to just one, but two three of Professor Volokh‘s articles in the majority opinion. That is a very rare honor indeed, but also an undisputedly well-deserved one by Professor Volokh. See id at 3, 11 n.8, 24. Also, one of the cites is to Texas’s very own Review of Law & Politics, congrats. More quotes from the majority opinion less of the benchslapping variety can be found at SCOTUSBlog. SCOTUS just announced it has affirmed the D.C. Circuit’s decision striking down the District of Columbia’s gun ban. More details on the text of the opinion (how far it goes in upholding an individual right to bear arms, etc.) as they become available. No plurality and and two dissents (so should be fairly clear precedent). 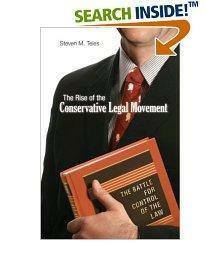 I have yet another book to add to my summer reading list, Steven Teles’s The Rise of the Conservative Legal Movement. Professor Zywicki has a great review of it over at Volokh. Robert Barnes has this excellent article in this morning’s Washington Post recapping the oral argument (noting many of the same exchanges I highlighted yesterday). As promised, the audio from the oral argument is available here (in Real Player format). A non-Real Player audio link is available here. It’s always a dangerous business to attempt to intuit what an appellate panel is thinking from their questions at oral argument, but here it goes nonetheless. Kennedy frequently raised the imagery of frontiersman in the 18th and 19th century that had to protect their property from outlaws. And if that’s what the Second Amendment is about, it was hard for him to draw rules for regulation, especially one as sweeping as D.C’s. For the full transcript of the oral argument, see here. If you’re right, Mr. Dellinger, it’s certainly an odd way in the Second Amendment to phrase the operative provision. If it is limited to State militias, why would they say “the right of the people”? In other words, why wouldn’t they say “state militias have the right to keep arms”? If the militia included all the people, doesn’t the preamble that you rely on not really restrict the right much at all? It includes all the people. Transcript of March 18, 2008 Oral Argument in D.C. v. Heller, Cause No. 07-290, 4:11-16, 4:24-5:2. What is — what is reasonable about a total ban on possession? So if you have a law that prohibits the possession of books, it’s all right if you allow the possession of newspapers? 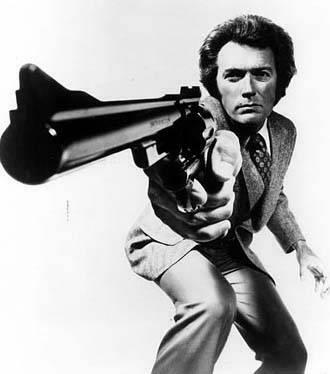 The regulation –the regulation at issue here is not one that goes to the number of guns. It goes to the specific type. And I understood your argument to be in your brief that because rifles and shotguns are not banned to the staple extent as handguns, it’s all right to ban handguns. Id. at 18:17-18, 18:24-19:1, 19:11-16. CHIEF JUSTICE ROBERTS: So how long does it take if your interpretation is correct how long does it take to remove the trigger lock and make the gun operable. CHIEF JUSTICE ROBERTS: Is it like that is it a numerical code. MR. DELLINGER: That’s right. Let me tell you why at the end of the day this doesn’t, this doesn’t matter. For two reasons. The lesson. CHIEF JUSTICE ROBERTS: It may not matter but I’d like tomorrow idea about how long it takes. And so in effect the amendment says we reaffirm the right to have a militia, we’ve established it, but in addition, there is a right to bear arms. And my question is, the question before us, is how and to what extent did it supplement it. And in my view it supplemented it by saying there’s a general right to bear arms quite without reference to the militia either way. Id. at 13:19-23 (emphasis added). Bingo, game over folks. Right here, Justice Kennedy shows his cards, and an individual right has the fifth vote. Well, you are being faithful to Miller. I suggest that Miller may be deficient. I don’t see how there’s any, any, any contradiction between reading the second clause as a — as a personal guarantee and reading the first one as assuring the existence of a militia, not necessarily a State-managed militia because the militia that resisted the British was not State- managed. The two clauses go together beautifully: Since we need a militia, the right of the people to keep and bear arms shall not be infringed. Blackstone thought it was important. Blackstone thought it was important. He thought the right of self-defense was inherent, and the framers were devoted to Blackstone. Joseph Story, the first commentator on the Constitution and a member of this Court, thought it was a personal guarantee. JUSTICE SCALIA: — that is common for the people to have. And I don’t know — I don’t know that a lot of people have machine guns or armor-piercing bullets. I think that’s quite unusual. But having a pistol is not unusual. JUSTICE SCALIA: How many people in the country? JUSTICE SCALIA: I don’t think it’s common. Id. at 22:6-18 (emphasis added). Boo … Yah. Id. at 26:7-9 (emphasis added). One gets the feeling Justice Scalia has been waiting for this oral argument for a long, long time. I don’t understand that. What would that be — that you can, if you have time, when you hear somebody crawling in your — your bedroom window, you can run to your gun, unlock it, load it and then fire? Is that going to be the etch exception? All the more reason to allow a homeowner to have a handgun. JUSTICE SCALIA: You mean you can’t have any more arms than you would need to take with you to the militia? You can’t have — you can’t have, you know, a turkey gun and a duck gun and a 30.06 and 270 and, you know, different hunting guns for different. MR. DELLINGER: Of course you could do that. JUSTICE SCALIA: You’d have to have a 12 gauge and that’s it. JUSTICE KENNEDY: I — at least to me the question is, what would be the constitutional basis for insisting on Justice Scalia’s suggestion that you need a number of guns? You have argued, it seems to me, that the District or a government could prohibit just what he said, unless you needed one to take to the militia. JUSTICE KENNEDY: I’m asking about the constitutional standard you apply to a hypothetical statute which would prohibit the guns Justice Scalia described. What is your position as to the validity of such a hypothetical law? MR. DELLINGER: Would you apply this standard. You would ask whether the ban is one that’s carefully balanced and considerations of gun ownership …. Id. at 86:17-87:25 (emphasis added). Even more reason to really like Justice Scalia; does anyone think for a second that Justices Breyer, Ginsburg, or Stevens have any clue what a 30.06 or a 270 is? Love to have seen the blank looks on their faces when Justice Scalia threw that analogy out there. JUSTICE ALITO: Your argument is that its purpose was to prevent the disarming of the organized militia, isn’t that correct? MR. DELLINGER: That is correct. JUSTICE ALITO: And if that was the purpose, then how could they — how could the Framers of the Second Amendment have thought that it would achieve that person, because Congress has virtually plenary power over the militia under the militia clauses? [A]t least in part to protect the right to self-defense in the home, how could the District code provision survive under any standard of review where they totally ban the possession of the type of weapon that’s most commonly used for self-defense and even as to long guns and shotguns they require at least what the code says without adding a supposed loss that might be produced in a subsequent case that even as the long guns and shotguns they have to be unloaded and disassembled or locked at all times, even presumably if someone is breaking into the home?